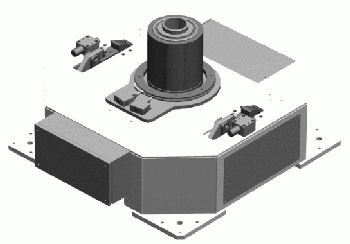 The workpiece positioners from Robolution are characterized by modularity. 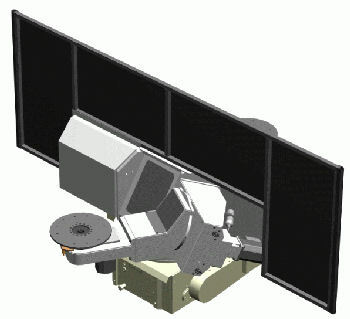 The basis is either the in-house GRA base with a patented pulse drive or an Expert interchange. The superstructures depend on the production requirements of the customers. Whether it is a fixed table or additional axes. Robolution will find together with you the technically and economically optimal solution for you. 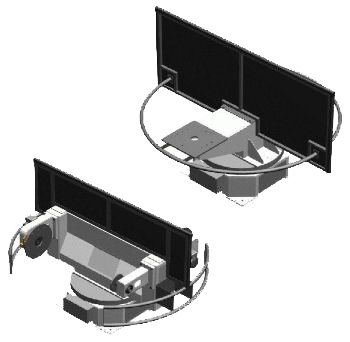 The automatic workspace switching a motorized positioner has the advantage that the operator has to spend time and energy for the rotation. Disadvantages are greater space requirements and higher costs due to the necessary safety devices such as light barriers, foot mats, etc. The cycle time is increased by „long distances“, which additionally stress the operator, especially during short working cycles. The manual workspace switching a positioner makes the elaborate safety equipment superfluous. The operator performs the rotary motion of the positioner itself. Advantages are „short distances“, the operator moves directly in front of the positioner. 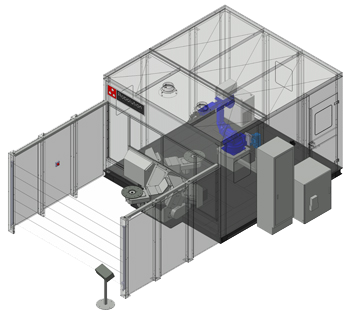 Lower space requirements, shorter cycle times and lower procurement costs. 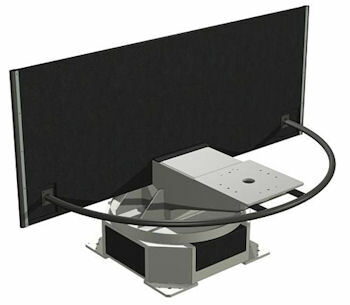 The great disadvantage of this system, the operator is exposed to the constant rotation of the positioner of large physical strain. 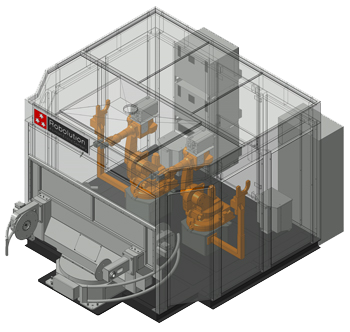 The patented Robolution pulse drive GRA combines the advantages of both systems without their drawbacks. The operator is located in the work area of ​​the positioner as in the case of the hand-operated system during the station change. By actuating the start button, a short rotary pulse is triggered, which gives the positioner the necessary momentum to initiate a change of position. Instead of the force required by the operator, the rotary pulse is generated by a compressed air surge. 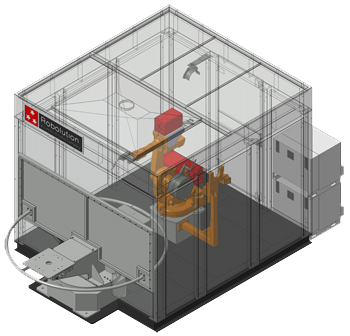 In emergency situations, the positioner can be simply stopped by hand. All safety requirements are fulfilled, since this is not a force-coupled rotary movement. 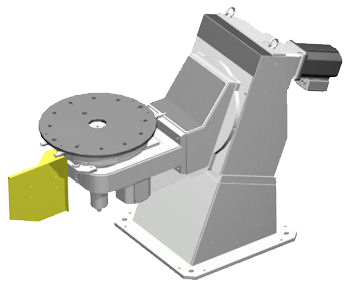 The TurnFix 500 positioner is used when the simplest welding tasks are to be automated. The components are received stationarily on the table top. 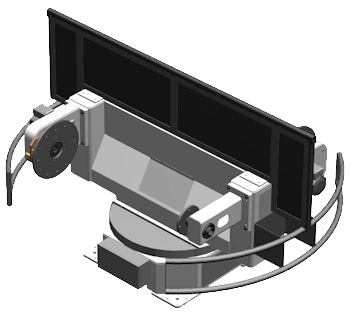 The TurnRot 300 positioner is used when the welding of small assemblies is to be automated. The TurnRot is equipped with a horizontal axis of rotation, which makes it possible to rotate the component by 360 ° during the welding process. The TurnOrb Positioner is always used when assemblies have to be manufactured in the optimum welding position. 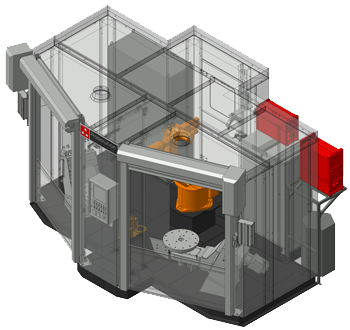 Due to the axis geometry of the tilt and turn modules, the component can always be positioned in the optimum machining position. This contributes to an increase in the welding speed and to a uniform seam quality, since forcing conditions can usually be avoided. As a result of the dynamic model stored in the system and the consequential, coordinated movement of the robot and the co-controlled positioners, component programming has been significantly simplified. The TurnTil positioner is always used when assemblies have to be manufactured in the optimum welding position. 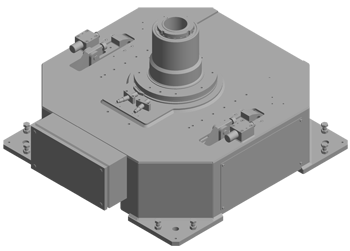 Due to the axis geometry of the tilt and turn modules, the component can always be positioned in the optimum machining position. This contributes to an increase in the welding speed and to a uniform seam quality, since forcing conditions can usually be avoided.